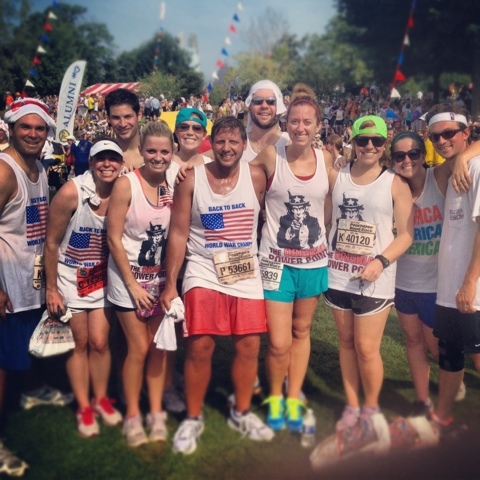 Brandi Nell the Southern Belle: Peachtree Road Race! Happy 4th! 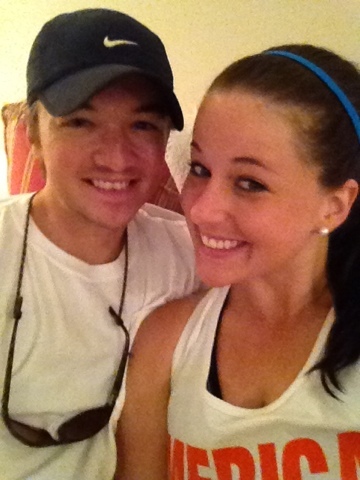 Peachtree Road Race! Happy 4th! I hope everyone had a fantastic and safe 4th of July! Independence Day is one of my very fave holidays. I love to see people taking pride in this great country - and paying respect to those that fought (and those still fighting) for our freedom. Hubs and I even got engaged on this holiday 5 years ago. It's definitely a day of celebration in our home. 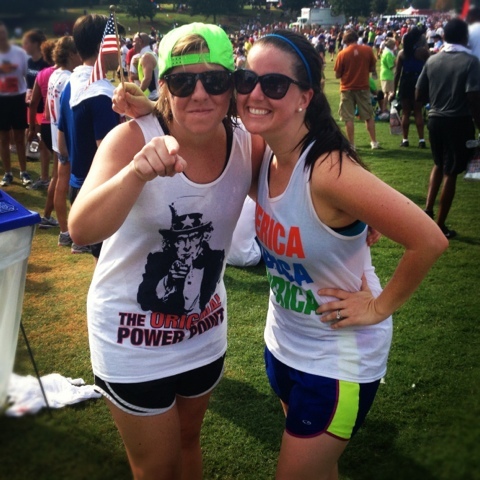 This year, we did something we have never done before... we ran the Peachtree Road Race. This is the largest 10K in the world. WE HAD A BLAST! MARTA to the start line. Yep, this pic was taken at 6am. Colleen and I were excited (and I was nervous). It was our first time. 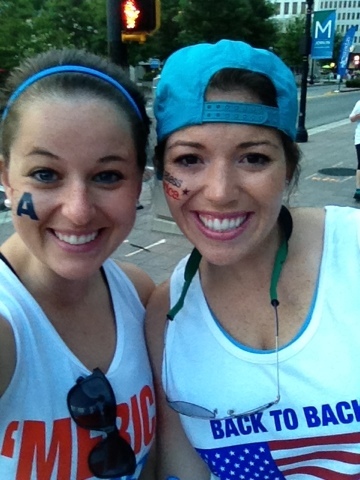 We are very blessed to have friends that enjoy running in races too. 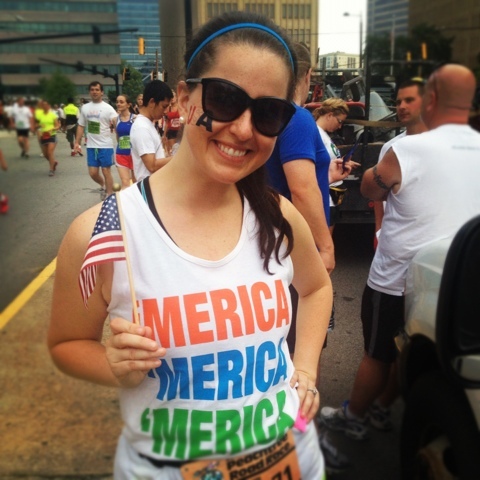 I had to wear my 'Merica Gear! 60,000 people run in this race. 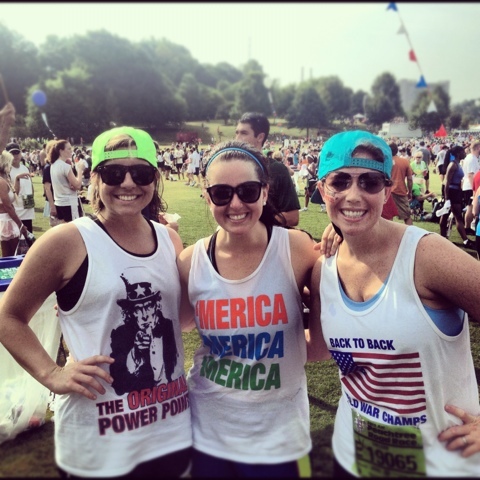 It starts at Lenox Mall and ends at Piedmont Park, totaling 6.2 miles (and quite a few hills), running down the famous Peachtree Street. 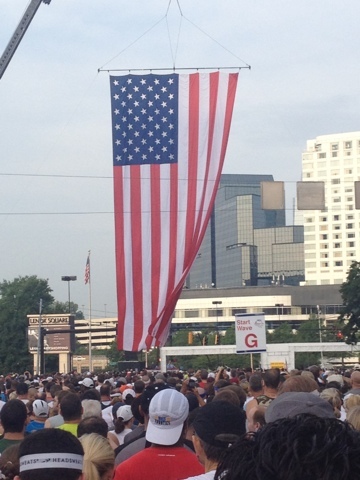 This GIANT American Flag marks the start. WOO! 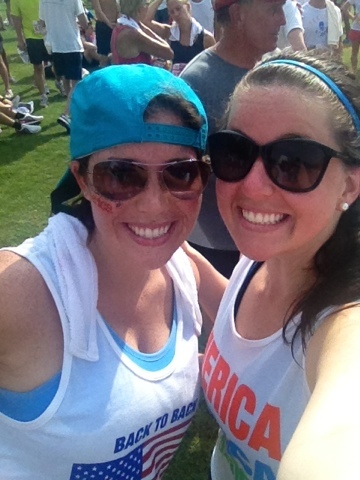 So excited (and exhausted) that we finished the Peachtree! Our time was 1:07... not too shabby considering we stopped at every water station! HA! The full team! I am obsessed with all of our shirts! 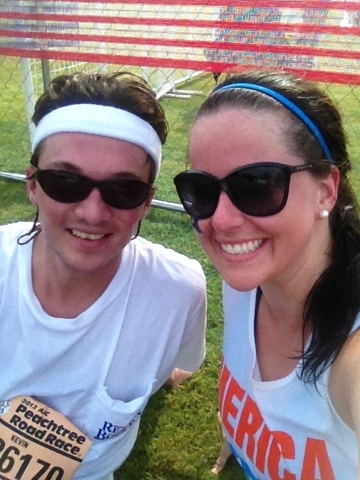 Kati Ann and I after the race. She is demonstrating "The Original Power Point." 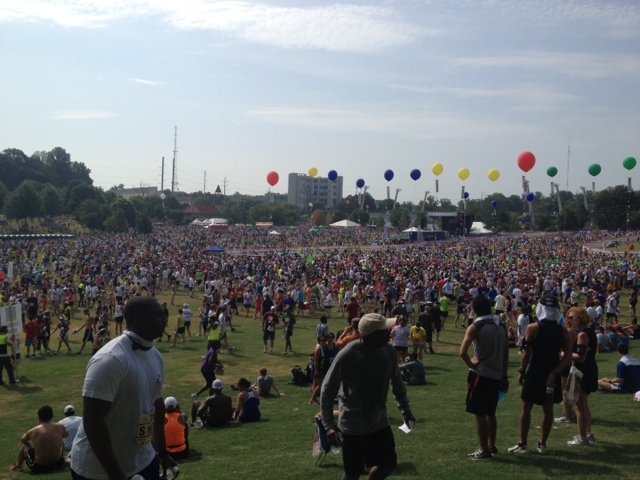 What 60,000 tired, smelly people look like. My sweet besties! Love these girls. So glad to celebrate with them! As you can tell, we had a great time. It was followed by brunch at Kati Ann's then an EPIC nap. Fun day indeed. What did you do to celebrate America? 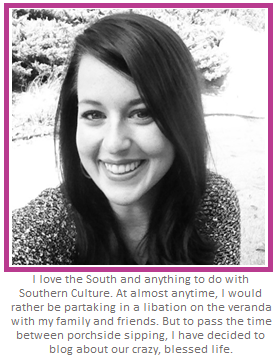 I have given you the Liebster award for being such an amazing blogger! The info in in my latest post.